Illustration of the Solar System. NASA doesn’t just randomly decide what telescopes and satellites to shoot into space and what planet to study next. Instead, a committee of outside scientists drafts a set of goals and recommendations in what’s called a decadal survey. And though it notes some financial setbacks, a midterm review of the last decadal survey report says NASA has done a pretty good job hitting the goals set by the 2013-2022 Planetary Science survey. But there’s work left to do, especially when it comes to bringing a sample of Martian dust to Earth. The National Academy of Sciences on Tuesday released a midterm assessment of NASA’s progress on meeting the planetary science community’s goals for 2013 to 2022. According to the report, NASA has more or less met or exceeded the committee’s recommendations—but it hasn’t adhered to the recommended timeline for developing some discovery missions. There are several decadal surveys, and this midterm report deals only with the 2013-2022 survey on planetary science. You’ve probably heard of its major priorities: One is to collect and return samples from the surface of Mars. Another is an in-depth study of Jupiter’s moon Europa. NASA is currently working toward both of those goals. The decadal survey also recommended putting a probe into Uranus’ atmosphere, but there isn’t a Uranus mission underway, notes the American Institute of Physics. 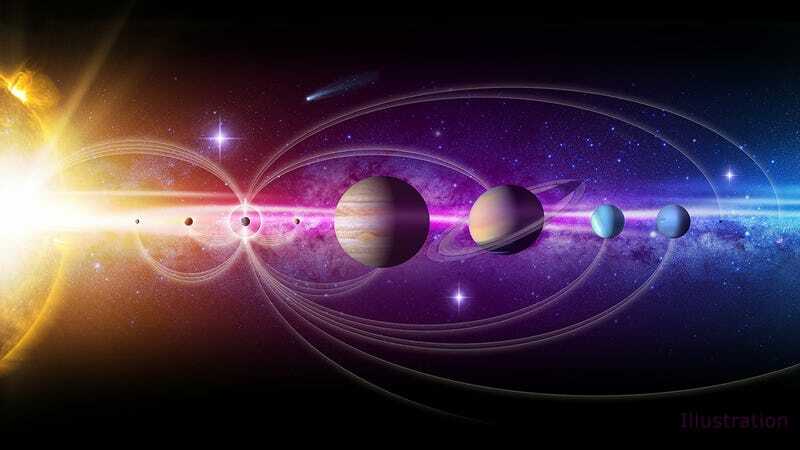 The original 2013-2022 decadal survey recommended seven medium-sized New Frontiers missions, which NASA selects from community-submitted applications. Today, these missions have included New Horizons, Juno, and OSIRIS-REx. The new midterm assessment suggested adding one more New Frontiers mission. The original report also recommended a host of new Discovery missions—less-expensive projects with a competitive selection process. These have included NEAR-Shoemaker, which explored asteroid 433 Eros; MESSENGER, which orbited Mercury; and the more recent Mars InSight. The new midterm assessment suggested three more Discovery missions. The midterm report noted that NASA achieved many of the initial report’s goals, despite budget cuts for planetary science after 2012. It put forth a list of recommendations to ensure the agencies stay on track for the goals, including ensuring that the Europa Clipper and Mars 2020 missions stay on track. Additionally, the planned Mars 2020 rover will prepare a sample for return to Earth, but there’s no strategy yet for how to actually bring the sample home. The report recommended coming up with a new mission to do that, noting that the current satellites around Mars are getting old. On top of that, the assessment recommended sponsoring eight to 10 concept studies that could be included in the next decadal survey. A recent National Academy of Sciences report included lots of ideas for missions to explore Saturn, Venus, and the Moon, and to pick up the sample Mars 2020 collects. One astrophysicist who interacts with the federal government, David Spergel from Princeton University, told Gizmodo that the report was “timely.” He specifically pointed to the uncertainty surrounding the International Space Station, and how Congress would like to see NASA ISS operations until 2030, while President Trump would like to end operations in 2024. “Frequent strategy changes makes it difficult to connect research investigations and exploration needs,” he said. This isn’t the only decadal survey that NASA works from. This 2013-2022 report deals only with planetary science, but scientists are also preparing for the Astro 2020 decadal report. That report will discuss the future of astronomy and astrophysics; the 2010 astronomy decadal listed the WFIRST space telescope and the LSST ground-based telescope as its biggest priorities. So, while things might sometimes feel grim with respect to space exploration, given delays of large projects and occasional attempts to cut budgets, it’s nice to take a look at some of the awesome things that NASA and other scientists have already accomplished. It’s also exciting to think about what New Frontiers and Discovery missions might come next to build on the incredible results of the current missions. And hopefully someone figures out how to get that sample back from Mars.